Apple may be looking to reboot the stock of their iPad range as early as March, if a rumour from Japanese blog Macotakarais to be believed. The fourth generation iPad and iPad Mini were released this fall, so it may be a little early for a new line of products. According to the report, which was given to the Japanese blog by “unnamed sources”, the iPad will be thinner, lighter, and have some of the design features the iPhone 5 and iPad Mini came with. These design features may be the two tone back, instead of stale white and black. The report says the iPad Mini will come with a retina display, something we thought it will ever since the original one didn’t. Many were unsure why Apple didn’t release the original iPad Mini with retina, it seems the only main reason is to add something to the feature list of the second Mini. We find nothing that is really surprising in the report other than the iPad Mini will be replenished in March. The fourth generation iPad was more of an incremental upgrade to the “new iPad”, so we suspect that Apple have already begun work on the fifth generation. Saying that it will be thinner and lighter isn’t really much to go on either, as Apple have continuously tried to make all their products like this. With better manufacturing processes and lighter materials, there is no doubt the iPad will have these features. We hope that iOS7 will be something to admire, rather than just a small upgrade from the previous operating system. Many reviewers of iOS6 have said it is time Apple does something different, before the software becomes ancient. Performance boosts, multitasking, multi-users and hopefully widgets will come with the fifth gen iPad. 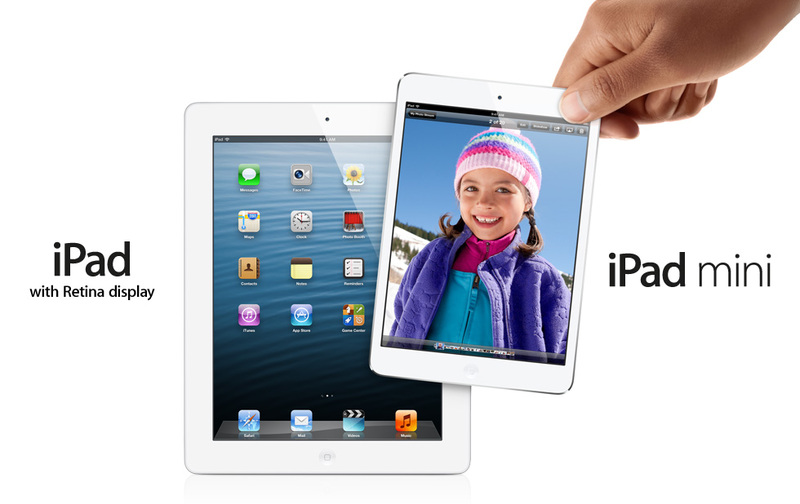 As always, we will keep you up to date with all rumours on the iPad and iPad Mini.